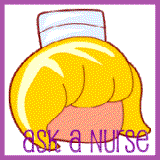 Have You Had a Weight Gain During Menopause? Women tend to gain weight as they grow older, partly because many of us get less active... either due to juggling multiple life responsibilities or perhaps our waning physical abilities. But one of the biggest challenges we aging women face comes during the years leading up to menopause, which is called the perimenopausal period. This is when most women are at risk of packing on the most pounds. It doesn't have to happen that way, of course. Making healthy lifestyle choices all through your life can help prevent weight gain during menopause. 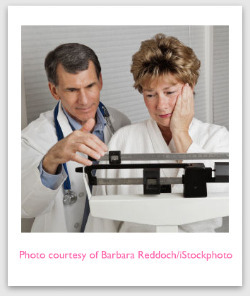 But it's also important to understand what happens during menopause that can lead to weight gain. Menopause is an inevitable result of aging for all women. For most women, it happens sometime after the age of 40, and you may spend up to a third of your life in this phase. You see, it's not something that just happens one day. Pre-menopause and perimenopause can occur over a period of years. The actual definition of menopause is the end of menstruation. Once you have gone a full year without a period, then you have achieved menopause and are now in the post-menopausal period. But the difficult period connected with menopause is the years leading up to it. There can be profound physical, emotional and social changes... and many of those changes can have an effect on your weight, or your ability to manage your weight effectively. 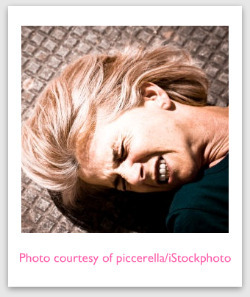 About 70% of women have symptoms from menopause, while a lucky 30% coast through, scot-free... lucky ladies! The reason menopause affects many women so profoundly is because of the hormonal changes that occur during this time. Our bodies run through a delicate balance of many different hormones. When that balance is upset, a sort of chaos in the body is the result. But perhaps the most unwelcome change is menopause weight gain. There are a few reasons why menopausal women tend to get fatter. First of all, the hormonal changes of menopause make it more likely that you'll gain weight around your abdomen, rather than your hips and thighs. 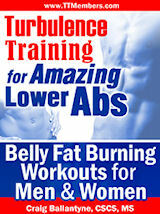 Secondly, menopausal women tend to exercise less and that can lead to weight gain. Also, you lose muscle mass as you get older, which shifts the balance in your body to more fat tissue and less muscle... and that slows down how fast you can burn calories that you consume. And also, life changes — whether they are happy changes or unhappy changes — can lead to weight gain during menopause. 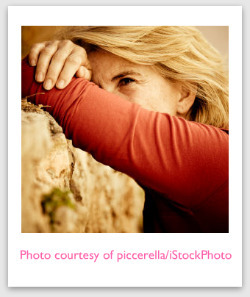 So... are you starting to feel like the deck is stacked against you during the menopause years? If so, get that out of your head! 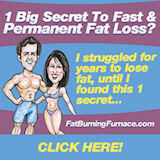 Losing weight during menopause isn't easy... but it IS possible. 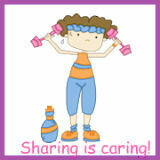 So don't let menopause weight gain weigh you down... start eating healthier and get more active!